A little over a week ago, my husband and I made the one-hour drive to Grafton to spend a weekend away at Ste. Anne's Spa. 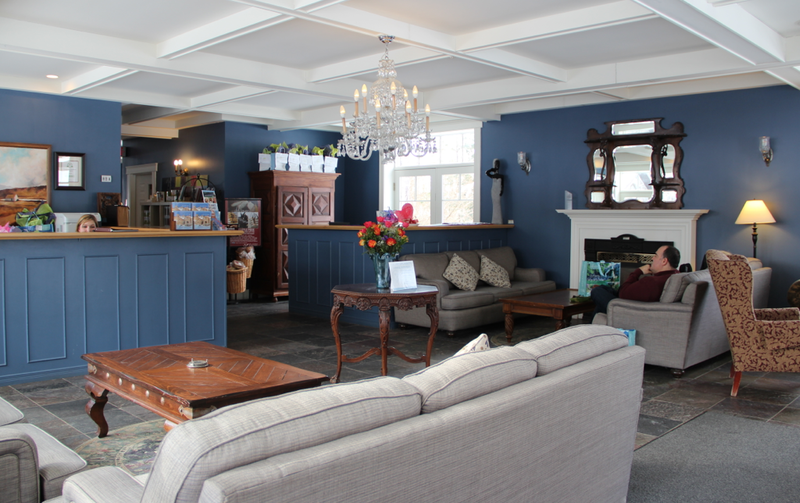 Upon receiving the invitation to experience Canada's largest destination spa, I was delighted to learn about the various spa cottages that can be found nestled around the main inn and located throughout the 400 acres of scenic countryside and rolling hills. 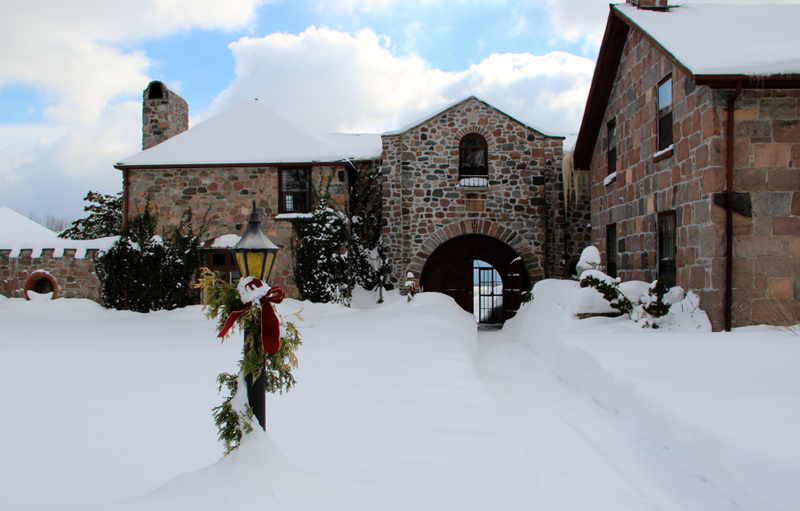 While a room at the inn would afford the convenience of the on-site spa facilities and dining area, spending a romantic weekend in a more private cottage was a wonderful way to spend our first ever adult-only weekend trip in over eight years! We arrived at approximately 1:30 on Saturday afternoon to find Ste. Anne's Spa covered in pure white snow. Parking was ample and we soon made our way to Ste. 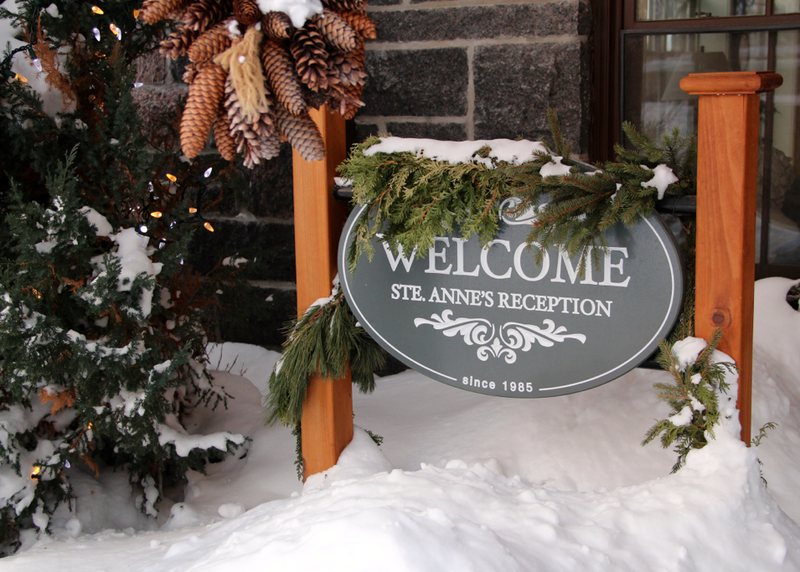 Anne's Reception area. Check-in is at 4:00 pm and you can arrive as early as 2:00 pm to use the facilities but our room was luckily ready for us by 2:30. We were instantly greeted by a friendly porter who briefed us on Ste. Anne's Spa. After a tour of the facilities, we followed him by car to the Sentosa Spa Cottage, located a mere 1/4 of a kilometre east of the Main Inn. He kindly helped us with our luggage and showed us to our room - Sentosa West. 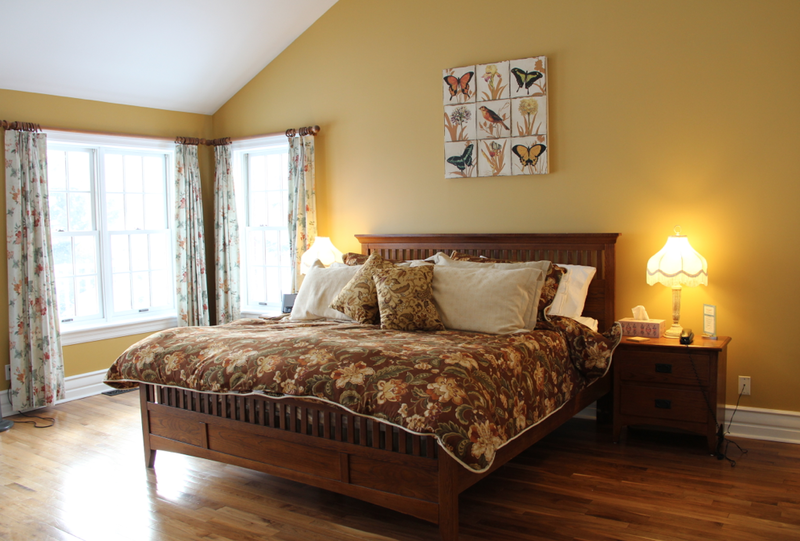 Cathedral ceilings, a gas fireplace, hardwood flooring, and this - a ginormous king size bed! (Cue ethereal music.) Oh, and we can't forget in-room wifi. Just in case, uh... you need to, you know... pop on Twitter or Facebook or something. This bed was seriously the highlight of this room, next to all of the warm natural lighting that lit up our living space during the day. At night, it was so weird not to have noticed my husband when he moved on his side of the bed. Weird but nonetheless wonderful! Of course, the ensuite 4-piece bathroom was second on my list of favourite features. 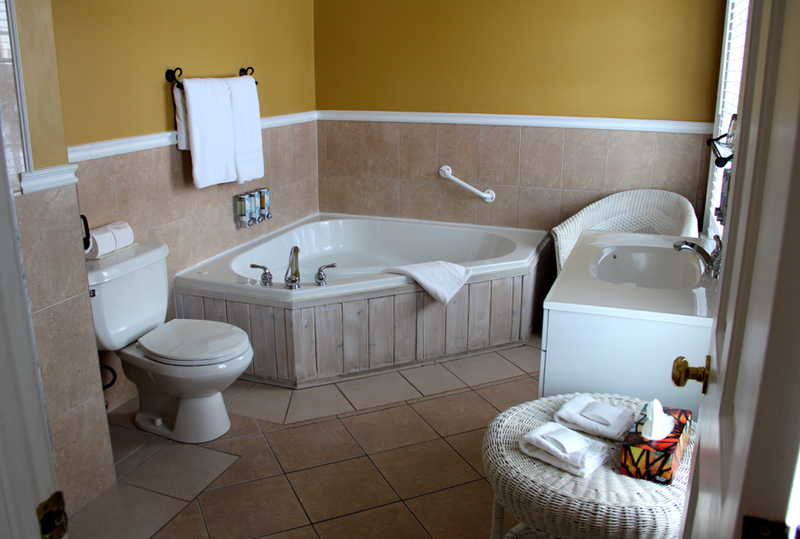 Check out the two-person whirlpool tub! 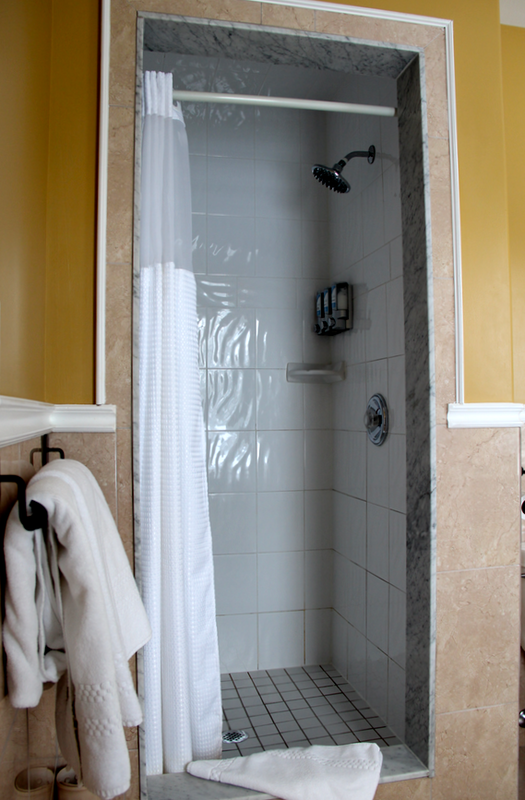 There is also a separate shower area with a lovely rainfall showerhead. There is also an ample supply of Ste. Anne’s Skin Nourishment Shampoo, Conditioner, Body Wash and Lotion. In the lower level which is shared by any of the guests staying in the Sentosa triplex units, we found a quaint sitting area with a television set along with puzzles and boardgames. 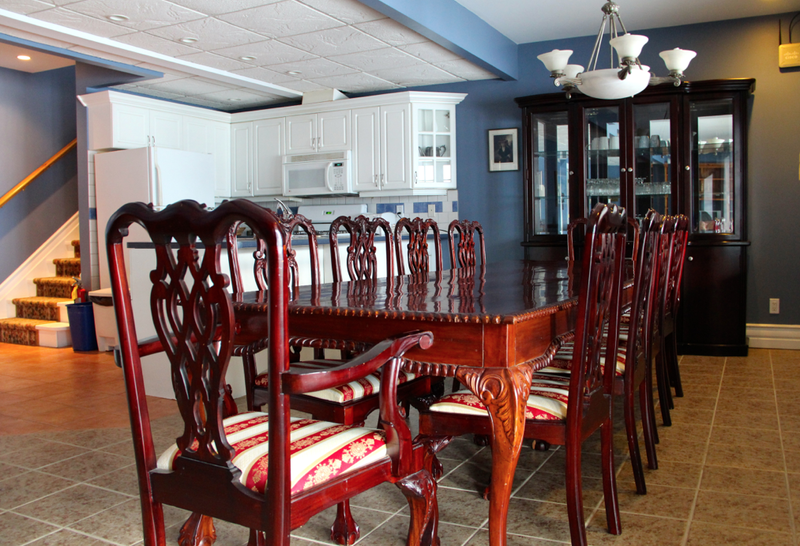 The dining room area had a gorgeous buffet and a beautiful dining set that could accommodate ten guests. 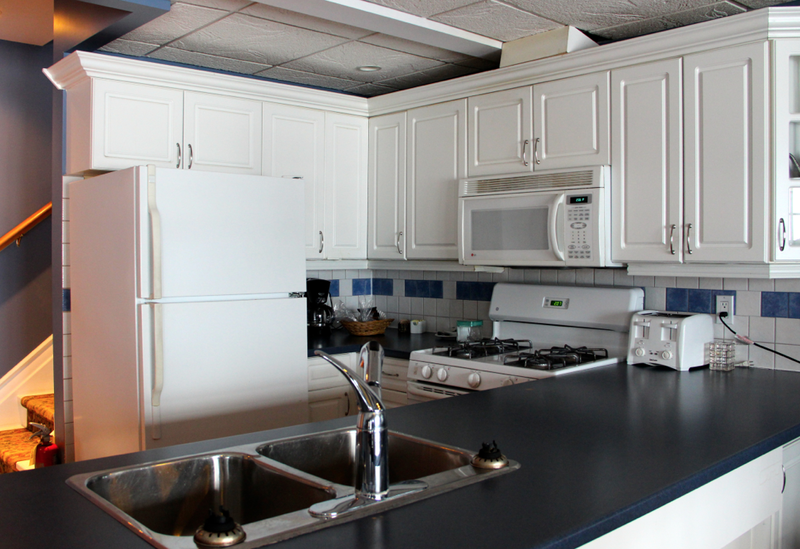 And for those who love to cook, there is also a fully outfitted kitchen with a stove, microwave and fridge for storing your bubbly and other beverages. Just outside is a semi-private deck that leads to the outdoor 2-person hot tub which is open year-round. Methinks I need to come back in the summer to better enjoy this feature. 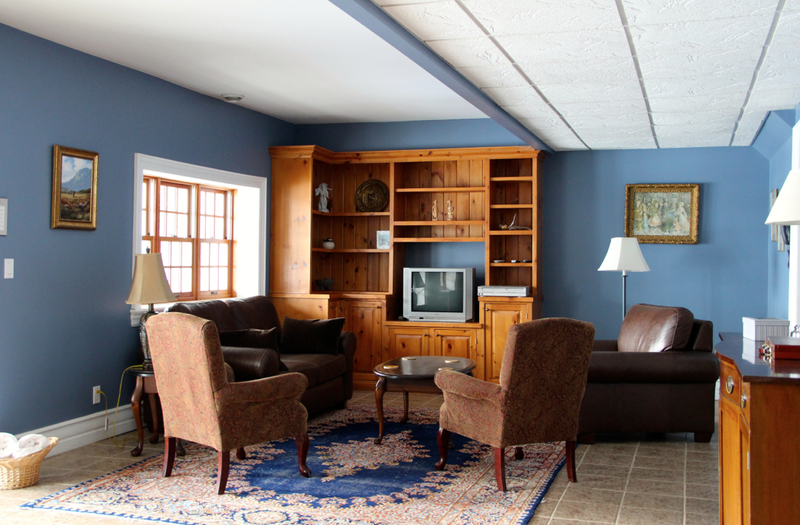 On the whole, our accommodations were beautifully appointed and very well-maintained. Our spacious room was a perfect getaway from the everyday but our experience didn't end there. Stay tuned as a I share more about our experience at Ste. 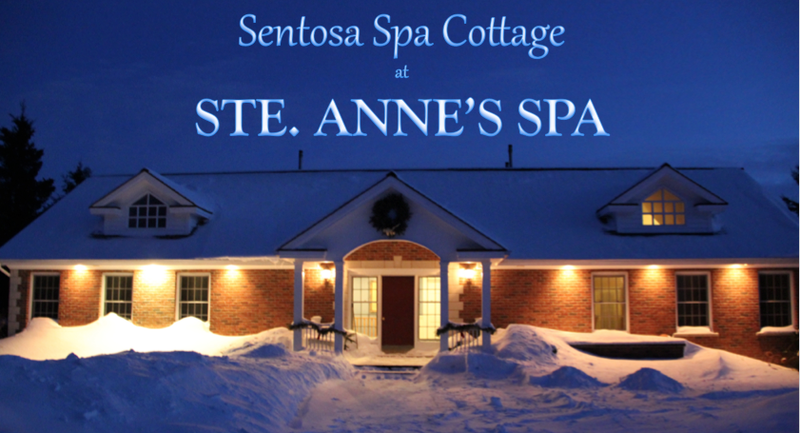 Anne's Spa including spa treatments, its facilities and the all-inclusive dining experience. Thank you to everyone who participated and a big thank you to Ste. Anne's Spa for sponsoring the giveaway! Disclosure: My husband and I received a complimentary weekend stay at Ste. Anne's Spa to help facilitate this review. Any opinions expressed in this post are my own. I've got to go sometime! Congrats Lesley; looks like you're gonna have a great time there! Wow, looks wonderful, and sounds amazing! Wow! Looks so luxurious yet cozy! I'll have to go someday! That looks like such a nice evening away. 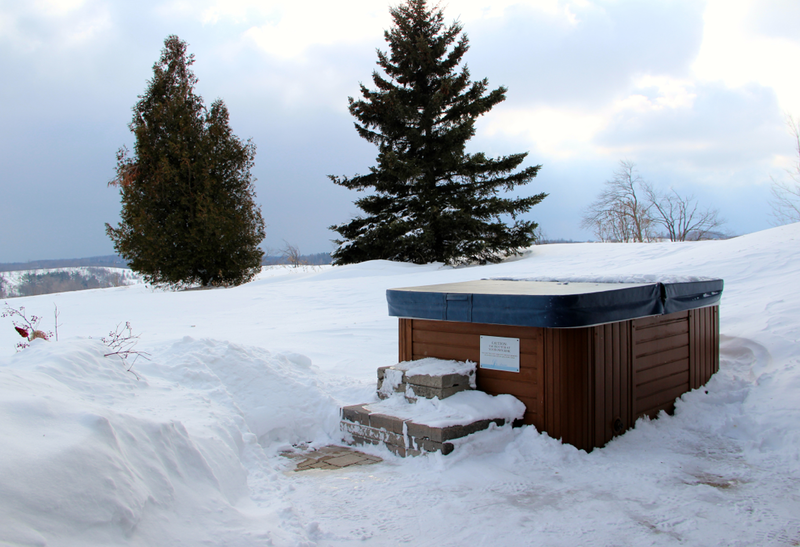 I wish I was adventurous enough to go in a hot tub in winter!! Brrrrr!